One of the tasks you will have to take care of as a local homeowner is choosing just the right Madison landscaper for your yard. Your stunning landscaping is not going to take care of itself. But you certainly do not want to settle for having a less than amazing yard. When you work with the Five Star Lawn and Landscaping, Inc. crew you can rest assured that you are going to be the envy of the neighborhood when it comes to the look of your yard. 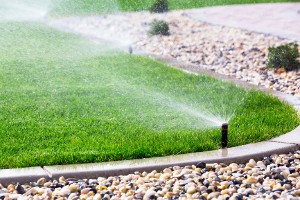 Even more important, we know what it takes to make sure your yard is healthy as well. An attractive lawn that is not in great health is only a short term situation. Eventually you have to invest the time and effort it takes to make your yard healthy, too. Or, even better, you have to entrust the right team of professionals to take care of that for you. Our professional landscapers have been taking care of locals here since even before starting the business under the Five Star Lawn and Landscaping, Inc. name in 2008. We know what it takes to make a yard look amazing all year long. Which is why we also take care of important Madison seasonal services too. Madison, Alabama is a place that is rich in history. Part of preserving this beautiful history is keeping it well manicured. And at Five Star Lawn and Landscaping, Inc. we are the number one choice for Madison lawn care. It stems partly from the great pride we have in being part of this local community. We want the historic buildings and homes here to look their very best. Which means making sure they have the very best in well manicured yards, as well. From carefully planning and installing landscaping to moving the yard to taking care of seasonal services, our experienced landscapers have got you covered. So if you are ready to get started making your Madison home look its very best, then give us a call at 256-975-0529. So what are you waiting for? Contact us today and let’s take a look at what our landscapers can do for you. 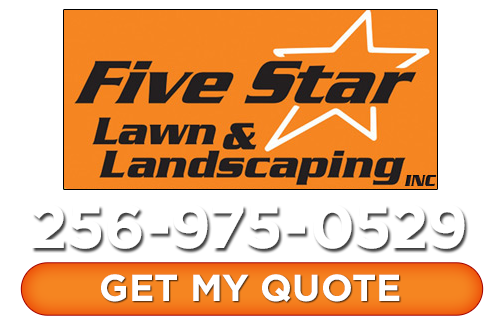 When it comes to the best in Madison landscaping services you can count on the Five Star Lawn and Landscaping, Inc. name. If you are looking for a Madison landscaper, please call Five Star Lawn and Landscaping, Inc. at 256-975-0529 or fill out our online request form.